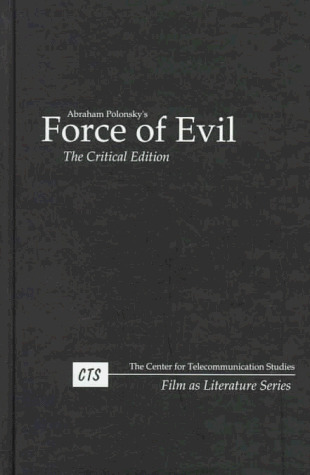 Publisher: West Hills, California, U.S.A.: Center for Telecommunication, 1996, West Hills, California, U.S.A.
Force of Evil, which starred John Garfield, was written by Abraham Polonsky and Ira Wolffert and marked Polonsky's directorial debut. This highly regarded noir-style movie transcends the gangster-movie genre and presents a taut and beautifully written moral drama with obvious political overtones. Abraham Polonsky wrote script for Body and Soul (1947) and twenty years later wrote Madigan and Tell Them Willie Boy Is Here.